In denying reports he’s worried about legal scrutiny of Donald Trump Jr., Trump made a big shift in how he talks about the Trump Tower meeting. 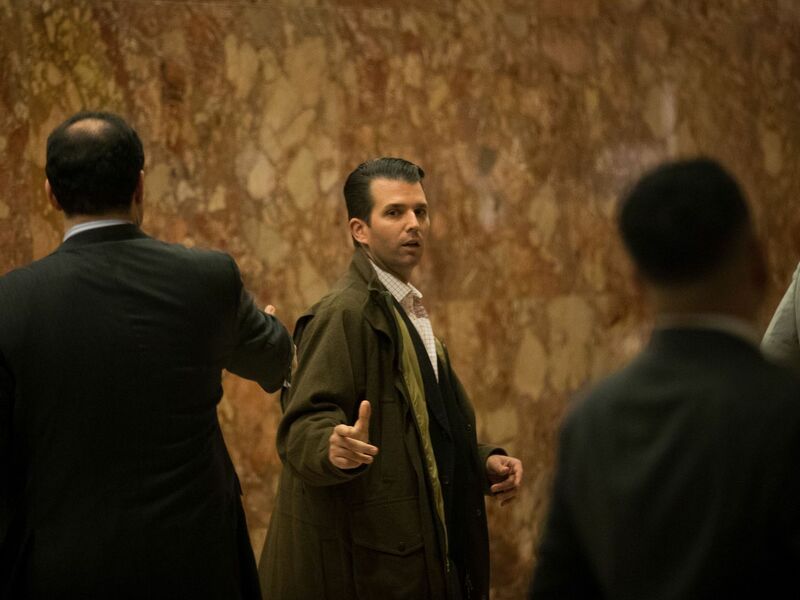 President Donald Trump hit back at reports he’s worried his son Donald Trump Jr. could be in legal jeopardy over his involvement in the meeting in Trump Tower to get dirt on Hillary Clinton in 2016. The president’s defense: The meeting, which the administration initially wrote off as about Russian adoption, was, in fact, to get information on a political opponent. And that’s “totally legal.” But Trump himself definitely didn’t know about it.